How can we reach sustainable peace after violent conflict? We need to convince the conflict parties to halt the violence and bring the conflict to an end. We need to convince the belligerents, particularly the government, to address the structural violence in society that always exists in violent conflict. We need to achieve peace and justice to reach a stable and democratic society. Unfortunately, after most violent conflicts the starting point is very difficult. Every time when a dictatorship is falling apart or the end of a long and bloody civil war seems to be possible, there emerges a dilemma: What should we do with the perpetrators? Should the perpetrators of human rights violations always be put on trial? Or, should we not rather ask: Is it valid to help negotiate peace agreements that will protect perpetrators for the sake of reaching peace? These questions are not easy to answer and have caused philosophical debates as well as real dilemmas on the ground. It is one of the most ancient dilemmas of international relations: the debate between peace vs. justice. In other words it is often phrased as “forgive and forget” in contrast to “persecute and punish” the perpetrators. In the debate between peace vs. justice, the question of amnesty is particularly controversial. Should bloodthirsty dictators or leaders of rebel groups simply get away with the numerous human rights violations they have committed in the past? Are amnesty deals simple protection mechanisms for tyrants to enjoy a peaceful retirement or it may even allow them to continue influencing a post-conflict order? For a long time, compromises had to be made with the perpetrators to bring a conflict to an end. The main and immediate concern is to stop the suffering, and may that include also amnesties for war crimes and crimes against humanity. It is the important and difficult question whether amnesties for serious crimes are worthwhile of a strategy or not. Almost in all cases of violent conflict, there is some kind of negotiated agreement to bring the violent conflict to an end. Creating the conditions for a negotiated agreement often involves a bargaining process, even with those people who have blood on their hands. However, these dictators, rebel leaders or military commanders need to be included in a peace agreement. During the past twenty years or so, the view has changed and instead of immunity, there was a strong move towards prosecution to those that have been responsible for mass violence. This has been mostly related with the end of the Cold War. The assumption is that when mass crimes are not addressed and the root causes of conflict are not removed –the perpetrators–, the danger of the reoccurrence of violence is very high. Human rights advocacy groups like Human Rights Watch and Amnesty International have made a critical contribution to push for the advance of international human rights by publicizing the need to prevent mass atrocities and widespread political killings and torture. With the emergence of the International Criminal Court (ICC) in 2002, there has been a tremendous shift in public global opinion towards the side of justice. Human rights advocates point out that impunity for perpetrators will undermine a new democratic order and a peace settlement. Today, criminal trials of leaders have become commonplace since the 1990s with the development of tribunals in Cambodia, Sierra Leone, Rwanda and Ex-Yugoslavia. This development has almost led to an “explosion” of justice mechanism against perpetrators in comparison to the time before the end of the Cold War (with the notable exception of Nuremburg and the Tokyo War Crime Trials after WWII). Such kind of advocacy strategy for human rights often has one goal: the prosecution of perpetrators of atrocities according to universal standards. This proposition surges of the idea that there are international obligations to be fulfilled, not least human rights standards, to bring about justice. This proposition of justice is taken as a matter of principle. The outcome is important – justice – while there is not much focus on the process. 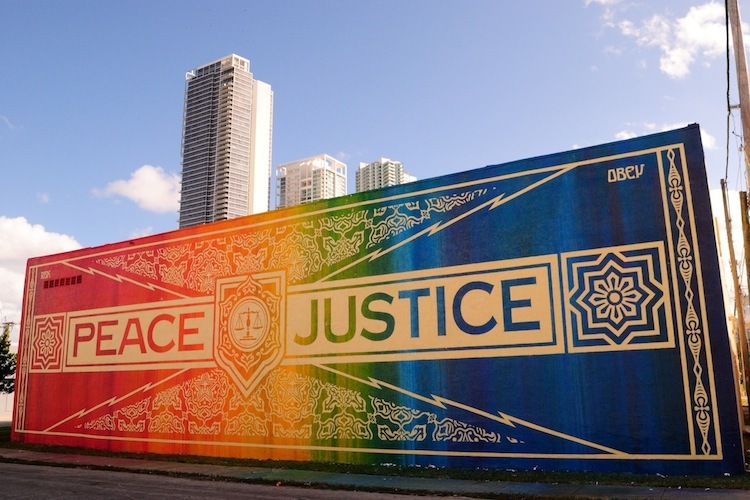 The focus on justice often risks that more atrocities will be committed in contrast to the belief that it would prevent violence, because it pays insufficient attention to political realities. Only focusing on justice, leads to the exclusion of actors at the negotiation table that might be crucial for signing a peace deal. The reality in the aftermath of ethnic conflicts, the dilemma between peace and justice can be much more difficult than during a “clean” academic debate. In many cases, from Northern Ireland to Mozambique, wide-ranging amnesties were granted because an end to violence seemed impossible to achieve on any other terms. Was that the price to pay for peace? Libya is a case in point where the ICC issued an indictment against Muammar Gadhafi. This move limited the options of Gadhafi enormously, thus making a peace deal more difficult and eventually leading to the NATO intervention. Until today, Libya is on the edge of falling apart; there has hardly stability been reached since the three years when Gadhafi’s regime fell in October 2011. Also in other countries, when the ICC involves itself, like in Sudan, the court closes off or at least limits the space for peace negotiations, thus risking prolonged violence and more human-rights abuses. In Sudan, the ICC warrant against Omar al-Bashir in March 2009 also has contributed to the failure of the disarmament and demobilization program. In fact, there is even the risk that no one is actually brought to prosecution or trial. What these two cases show is that there is a pattern of the ICC intervening at earlier stages in the escalation of conflict with the hope that its scrutiny will halt further human-rights abuses. And yet, it is clear that mass human rights violations continue in many areas where the ICC is active. The important step for the ICC is that its chief prosecutor has established important precedents for the notion that accountability need not wait for stability. In fact, the ICC has put forward a discourse suggesting that justice causes peace. And yet, the cases of Uganda, the Democratic Republic of Congo (DRC) and Ivory Coast are examples that this strategy is deeply flawed in reality. The governments of Uganda and the TDRC invited the ICC to investigate and prosecute crimes in their own territories. The international community applauds their governing elites because it is a public commitment to human rights and international justice. However, the truth is very far away from that story. The governments of Uganda and the DRC try to delegitimize and remove their rivals or troublesome insurgents that could not be defeated militarily. In both cases, the ICC’s attention has been directed at rebel groups and warlords that were also political rivals of the governments. There is no doubt that these individuals prosecuted at the ICC committed war crimes and crimes against humanity. And yet, they secure their own impunity by threatening non-co-operation with the ICC if their own crimes are investigated. A similar case takes place in Côte d’Ivoire, where the ICC involvement has so far served to reinforce the international credibility of President Alassane Ouattara while only his rival, former president Laurent Gbagbo is in The Hague which is perceived as victor’s justice. In other cases, the international institutions on the ground were not willing to cooperate with international courts to bring them to justice due to practical concerns. In Bosnia and Kosovo, the peacekeeping missions after the violent conflict favored amnesties and immunity arrangements – in contrast to the prosecutors of international crimes. While the International Criminal Tribunal for Former Yugoslavia (ICTY) demanded the delivery of prominent ICTY indictees like Radovan Karadzic or Ratko Mladic, the NATO forces on the ground did little to capture them. Also in Kosovo, the UN mission UNMIK did not collaborate with the tribunal about a war criminal because the person was considered as one of the few people they could actually work with in establishing a new country. Bringing a violent conflict to an end is a political bargain among the belligerents that is necessary to create robust administrative institutions that can predictably enforce the law. Preventing further atrocities and enhancing respect for the law needs political coalitions that contain the power of spoilers – those people who try to undermine the peace process because it is against their interest as they profit from violence. In contrast, legal scholars and activists of human rights have tried to insulate justice from politics. They justify this approach with several claims. Some argue that the pursuit of justice through uncompromising legal accountability is a matter of absolute principle, regardless of consequences. Mediators negotiating peace agreements have tended to view the prospect of prosecution as an unfortunate obstacle to their work. Some fear that the mere specter of trial will bring an end to fragile peace talks. These negotiators often feel pressed to push justice aside. Today, proponents of amnesty argue that those bearing the greatest responsibility for atrocities have no interest in laying down their arms unless they can avoid criminal charges. Other mediators argue that justice should wait until those culpable are no longer in positions of authority, since seeking to prosecute risks retaliation, including against those who work for humanitarian agencies. In the short term, it is easy to understand the temptation to forego justice in an effort to end armed conflict. Foregoing accountability often fails to result in the expected benefits. Instead of putting a conflict to rest, an explicit amnesty that grants immunity for war crimes, crimes against humanity or genocide may effectively sanction the commission of grave crimes without providing the desired peace. All too often a peace that is conditioned on impunity for these crimes is not sustainable. Even worse, it sets a precedent of impunity for atrocities that encourages future abuses. While under the pressure of trying to negotiate a peace deal justice may seem like a dispensable luxury, there are broader benefits as well to promoting criminal accountability. In the longer term, lack of accountability can create fertile ground for those who seek to manipulate history to sow seeds of new conflict in pursuit of their political ends. Therefore, we need to continue to look out balancing justice and peace. It is not a dilemma as long as there is a constructive and pragmatic approach to end violent conflict. 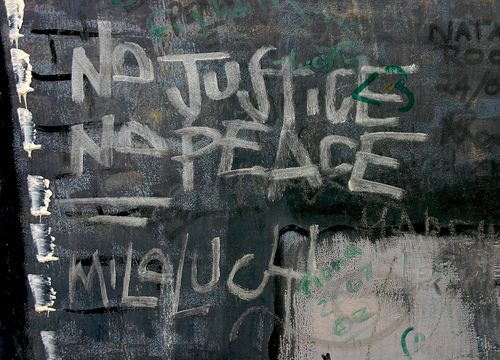 When peace is not accompanied by justice, it is very much likely that violence will restart. Only by addressing the roots of the problem, a conflict can transform towards a brighter future.